The native Android app for convenient time tracking is now available for free download on Google Play. 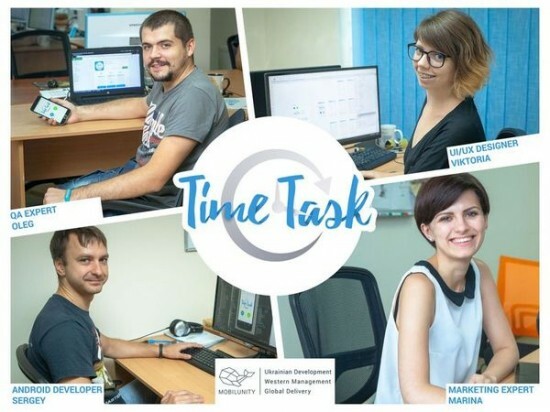 Kiev – September 2, 2016 – Available today, the free app Time Task provides an effective way to track multiple tasks and different activities in one touch. The native Android app developed by outsourcing and outstaffing company Mobilunity was designed for freelancers and professionals working on tasks paid at an hourly rate, whose time is valuable, and who look for a simple way to get activities organized and tracked in one place. Mobilunity’s mobile development team uploaded the new timesheet app to Google Play allowing all users to download it for free. The app was developed in Android Studio and provides users with a number of advanced features in addition to simple time logging. Time Task allows the creation of various activities and tasks, adding notes on each log and most importantly – it builds time spent reports based on specific activities performed within the defined time range. The Reporting option of Time Task is a great solution for web designers and developers, who work on an hourly basis, as it diminishes the headache associated with billing clients correctly. Simply track the time spent with one touch on the screen, add notes and export the report for invoice.